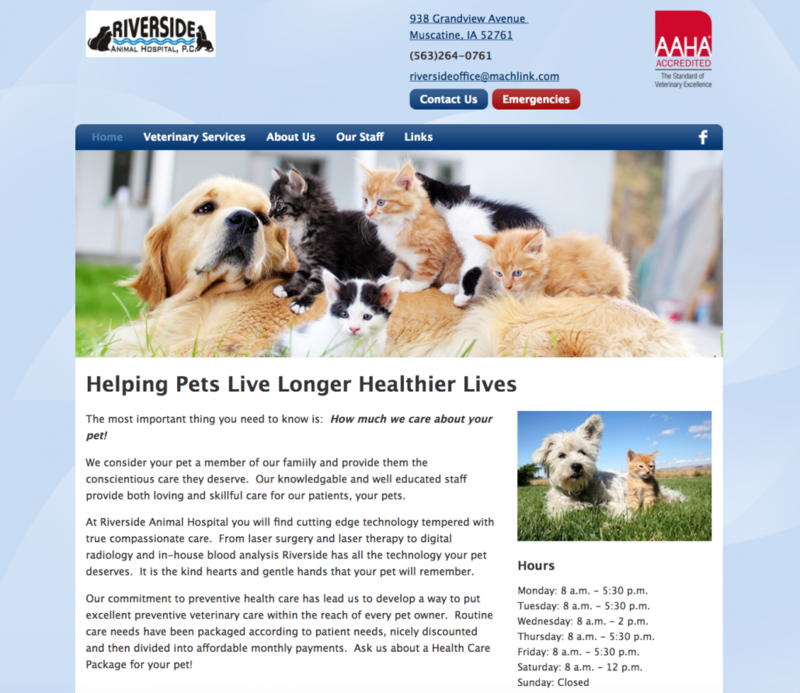 The owner of Riverside Veterinary called me because his template website was hosted by aahavet.org (the actual URL was http://riversideanimalhospital.aahavet.org/) and they are part of aaha.org. The problem was Riverside Vet was told that AAHA was shutting down the Riverside Vet’s website soon to accreditation issues. Needless to say, Riverside Vet wanted to get a website up fast! We offered them a solution that they owned from the ground up: From the domain name to hosting, to all of the content that resides on it. This site will not be taken down because the client owns it directly. Another problem with the previous website is that no one could find it. 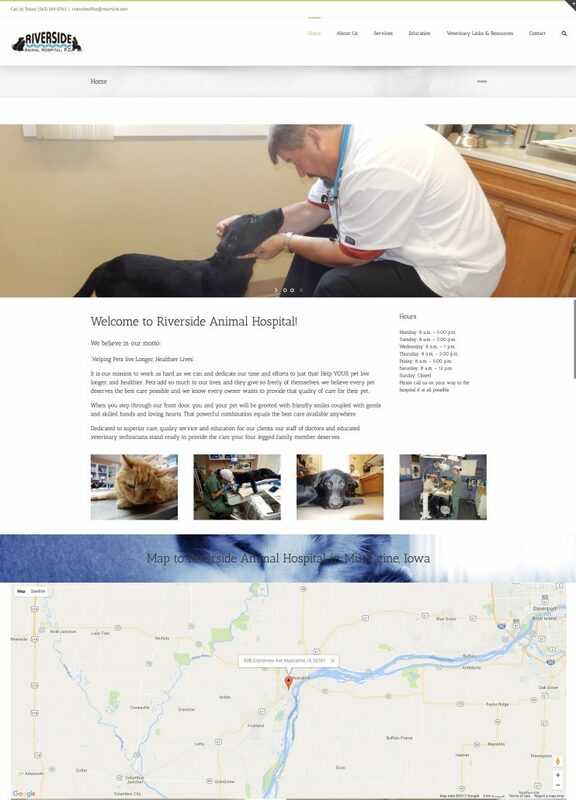 Seeing that it was being hosted under a second url (http://riversideanimalhospital.aahavet.org/) no actual content resided under RiversideVet.com. The company began to struggle when they switched to the AAHA page and they almost went out of business as a result of it. Now they are easily found in the Muscatine, Iowa, area.